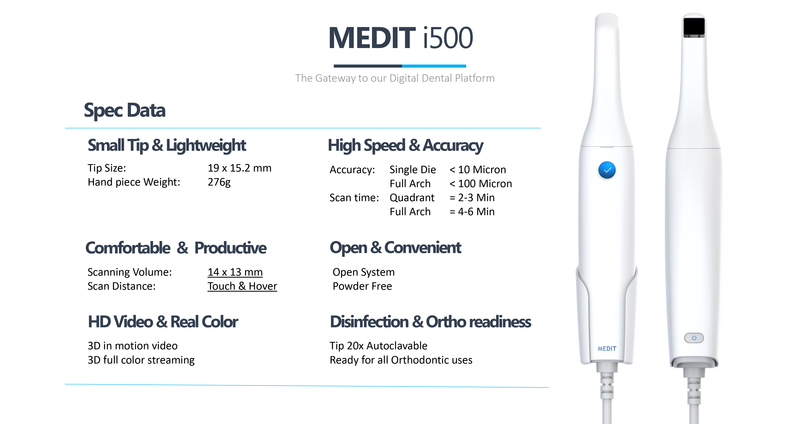 The i500 intraoral scanner is the latest MEDIT product. 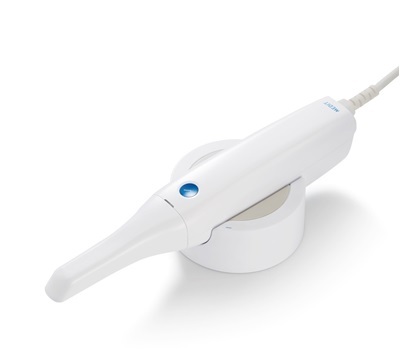 Tthe i500 Intraoral Scanner, comes with three qualities: Convenience, Efficiency and Productivity. With its impressive speed and powder-free system, the i500 provides a smoother scanning experience, reducing turnaround times and increasing your clinic's productivity. 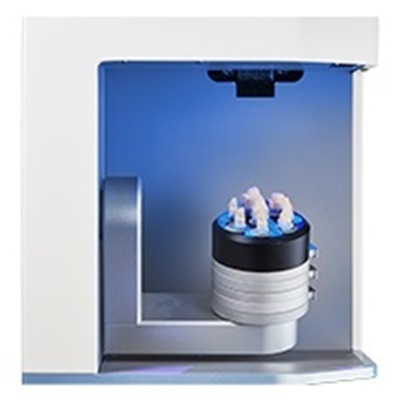 Medit T500 and T300 are high-end 3D scanners developed exclusively for dental CAD/CAM applications. An excellent laboratory scanner for models and traditional impressions. The T300 uses blue light technology and is less susceptible to background light interference. It also has an open frame which accommodates larger model work and articulators. An excellent laboratory scanner for models and traditional impressions. The T500 uses blue light technology and is less susceptible to background light interference. It also has an open frame which accommodates larger model work and articulators.